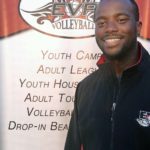 Palmer, Vice President of EVP is an elite player and coach very well known within the OVA circuit. Palmer, having played volleyball since the second year of Pakmen Volleyball’s inception, has been through the sport at every level through his career. Palmer brought his winning pedigree and elite mentality to EVP where he is currently Vice President and very often a “fan favourite” among the youth in the program. Known for his light hearted humour and positive personality off the court, and deadly “Mamba Mentality” compete level, Palmer is an absolute force to be reckoned with when it comes to competition. Palmer was also an integral part of kick starting the boys program, and was able to help EVP grow from 1 team to 13 over the last 5 years.